All successful dinner parties begin with tantalizing conversation. Kick start the evening with Fremont's stunning Atomic Ranch hand-crafted design. The modernism design is what initially catches the eye. The concept of the design is skillfully followed through by applying structural Architectural elements. Two sets of outward splay legs meet at an angle in which initially would initially appear to cross. At the point of meeting the angle of the leg changes to a vertical position bracing the table top. A substantial timber runs the extended length of the table extending through the upper leg brace of the design in a mortise tendon fashion. The timber beam is placed higher in the minimalist table design providing an unobstructed space with seating for 6. Fremont is fully sealed and finished, featuring quality hand craftsmanship worthy of introducing into your collection. 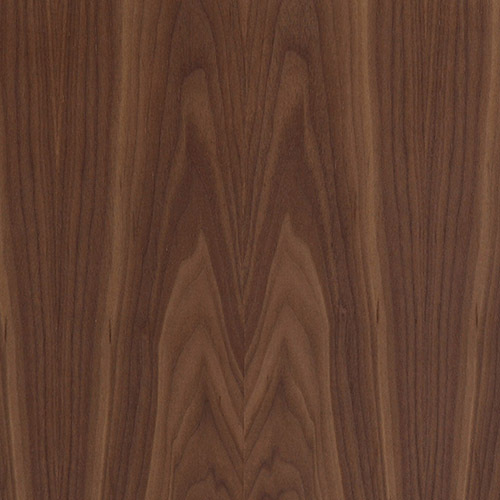 Height 29.5" x Depth 35.5" x Width 63"
The American Walnut species is widely admired for its exceptional color tone and graining. While there are many stains which attempt to miimick the "walnut color" the actual American Walnut species acheives its brown tone without the use of stains. The natural wood presents lighter and darker tones within the various grains, something not acheivable with a topical stain. American Walnut in its natural state is a premium choice for wood species and used often in modernist upscale furniture pieces. 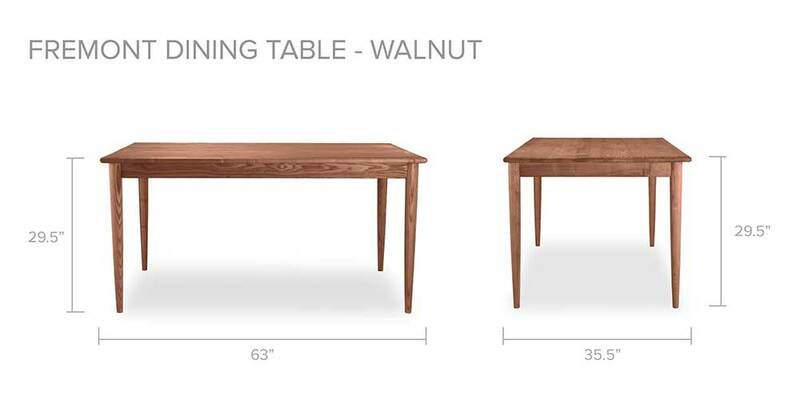 American Walnut is capable of coordinating well with other wood species both light and dark.